Open the DocbookMD app on your mobile device, tap the menu icon, and then tap the Settings icon at the bottom left. Tap the Notifications option to view and configure your notification preferences. When Repeat Notifications is enabled you will continue to receive notifications to your mobile device for any new message until you read that message. You can select how frequently the notifications repeat. When Notification Forwarding is enabled, you will receive a text and/or email notification informing your that you recently received a message in DocbookMD, but have not read it. 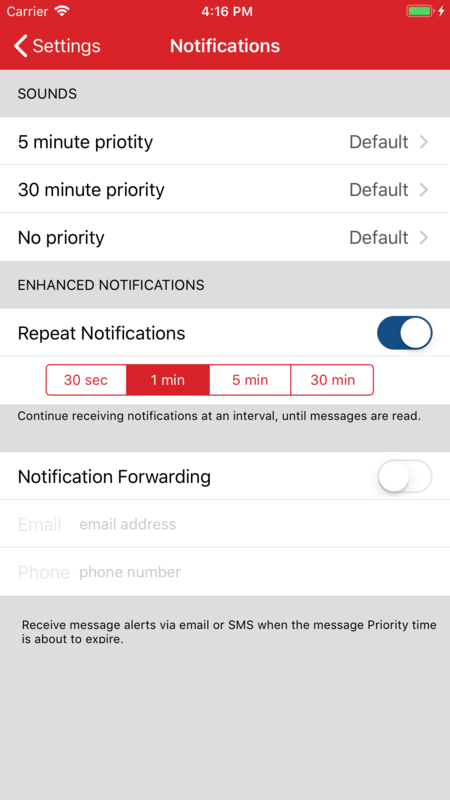 Forwarded notifications are sent at 80% of the message priority time: If a message is sent to you with a 5 minute priority, and the message goes unread for 4 minutes, you will receive either a notification to your mobile number or email address (or both), letting you know that you have an unread message waiting in DocbookMD. 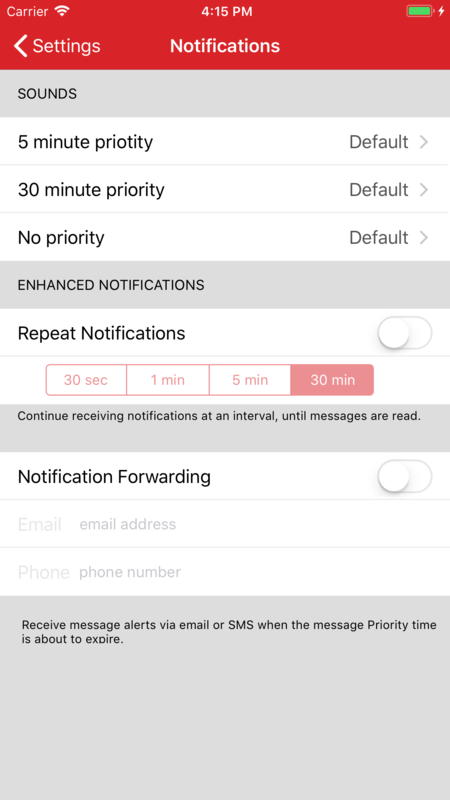 If the message is sent with a 30 minute priority, you will receive a notification after 24 minutes. 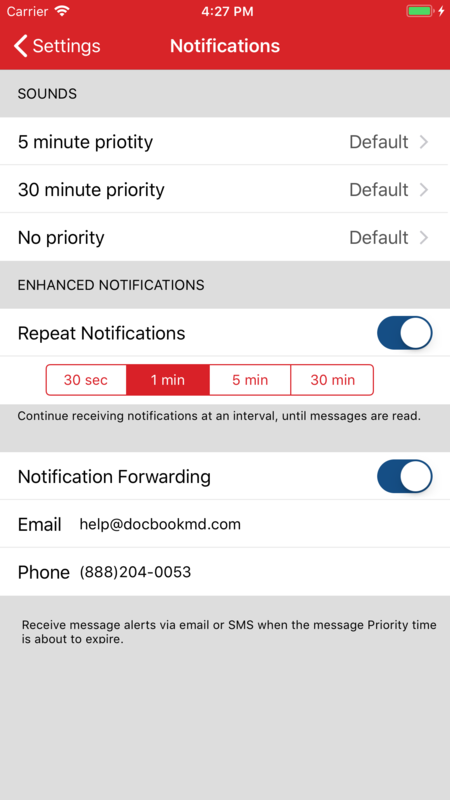 The message content will not be forwarded to your email or mobile number - You will only receive a notification that a message is waiting for you and that you need to enter DocbookMD to read it.